Advanced Millennium Technologies development process incorporates the application of Agile software development principles, an amalgamation of scrum project management processes and extreme programming engineering practices. Our methodology, though clearly defined, is flexible enough to meet the needs of our diverse customer base. In an aim to achieve operational efficiency, we continually review our processes to ensure high quality development and product delivery. We lay emphasis on partnership, trust and collaborative problem solving. We engage in projects as a sequence of smaller gallops versus a marathon, so our solutions go hand-in-hand with the ever-changing requirements, reducing hours spent on fixes and re-writes. 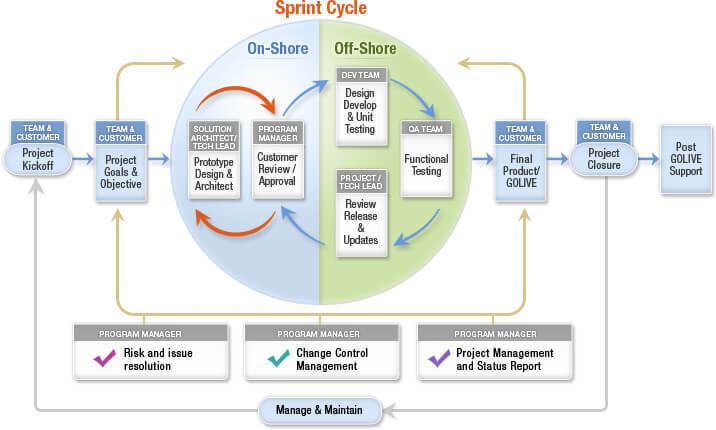 Advanced Millennium Technologies has turned its many years of experience in successful quality delivery into a reliable and agile SCRUM process. Our client-centric global engagement model offers each of our clients a team of experts dedicated to providing state-of-the-art solutions. 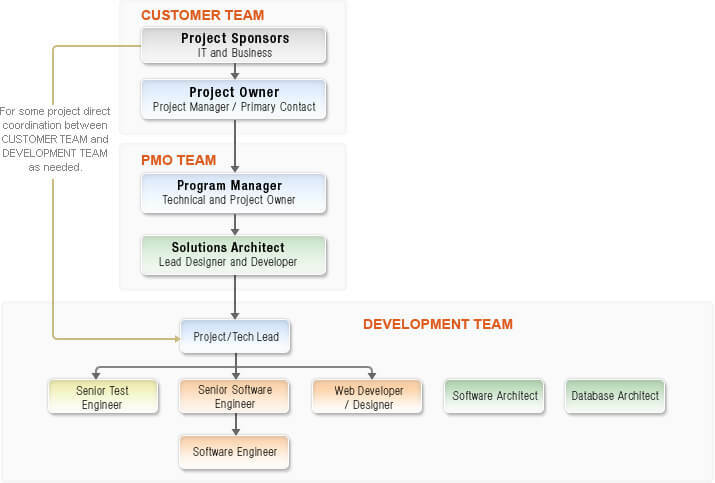 Shown below is the team structure that allows our clients to have full visibility into their projects and teams. © 2019 Advanced Millennium Technologies. All Rights Reserved.